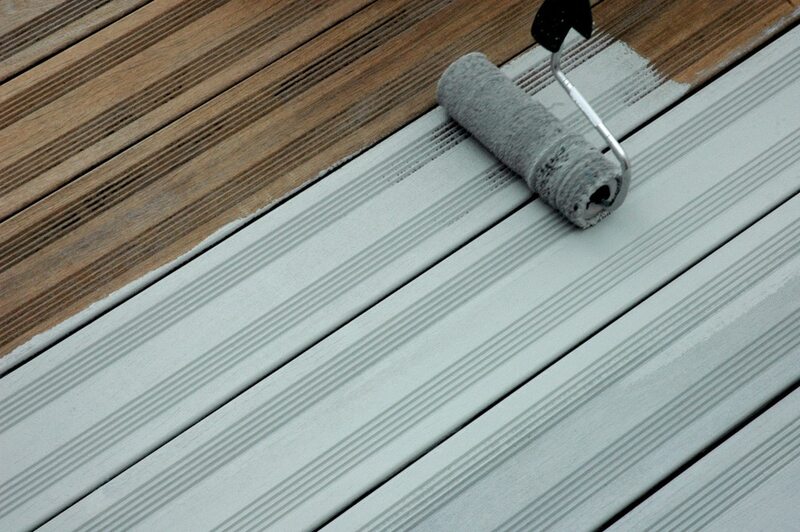 When planning a new finish for your decking or other wood surface or attempting a repair following damage such as peeling or flaking you will first need to strip any existing coatings from the surface. This is not as difficult or as laborious as you may expect and can actually be carried out quite quickly and simply using Prepdeck high grade wood stripper. What tools do I need to strip my deck? Work in areas that can be completed in 15-30 minutes. 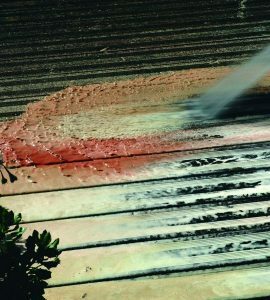 First apply Prepdeck wood stripper (in dilution recommended for your wood type – see the packaging) with a synthetic brush to the area to be stripped or cleaned and leave it to work. After an appropriate time test small area with a nylon scrubbing brush to see if the finish or dirt is lifting. Next rinse with copious amounts of fresh water, using the highest pressure from the water source available or use a Power Washer at 500-1000 psi (35-70 bars) working in direction of grain. (Rinse adjacent areas at same time). The use of hot water makes the job easier. Make sure you neutralize your wood! 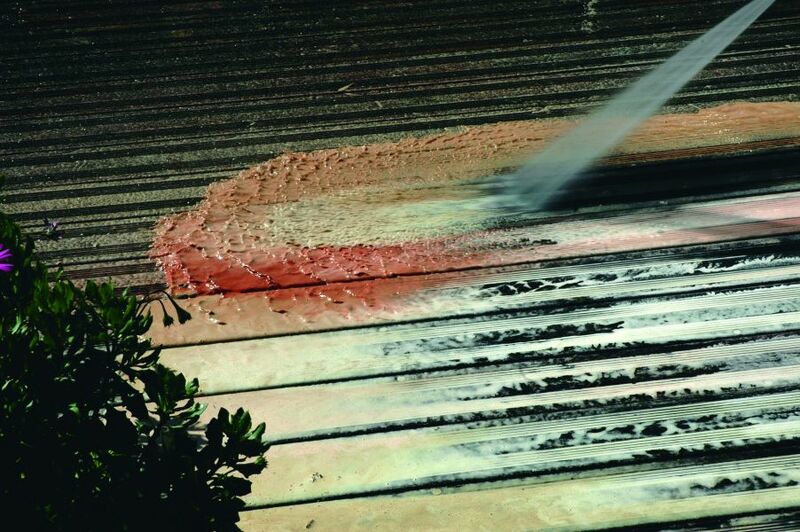 Once you have finished stripping the deck you will need to neutralize the wood because paint strippers are strong chemicals which if remaining on the surface it can prevent finishes from adhering correctly or cause blistering. 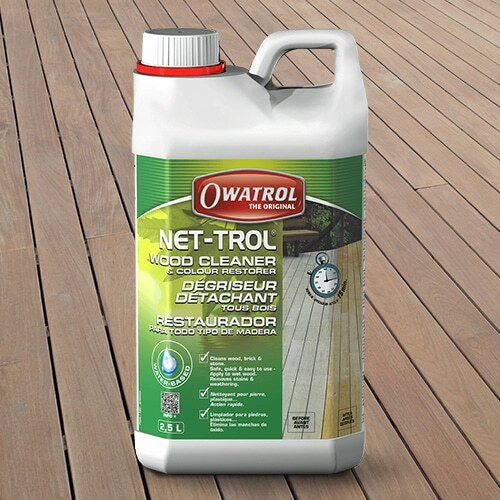 This is a simple process and can be completed using Net-Trol wood cleaner. Your decking is now ready to apply a finish but you should ensure that you leave the wood to dry for at least 48 hours first. We would recommend using a high quality protective treatment to ensure your deck stays at its best. There are a range of different options depending on the look you are going for – all of our Owatrol solutions provide excellent protection against damage caused by UV rays and moisture. You could use Solid Color Stain as your finish. This is a brilliant long lasting paint which is available in a wide variety of colors and shades. If you would prefer a water-based finish then try Aquadecks matte wood finish which is available in 3 shades.